With more than 100,000 articles, the Ultimate Reference Suite 2011 has more content than any other reference software! 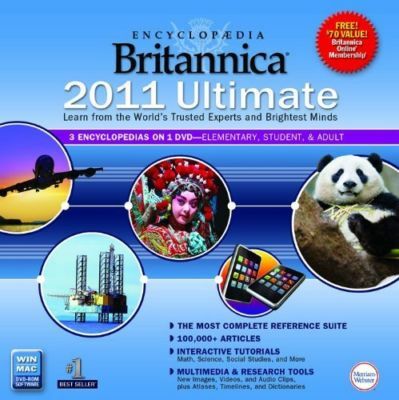 Owning the Encyclopedia Britannica Ultimate Reference Suite is like having a complete reference library right at your fingertips.With three encyclopedias, two dictionaries and thesauruses, the New Spanish English Translation Dictionary, rich multimedia, interactive article and media tours, homework tools, a complete atlas, timelines, online magazines, and more, the Ultimate Reference Suite is the knowledge you need from the world's most trusted source. 7.75% sales tax will be applied to Illinois customers which will be calculated at checkout. 01487 Seller assumes all responsibility for this listing.